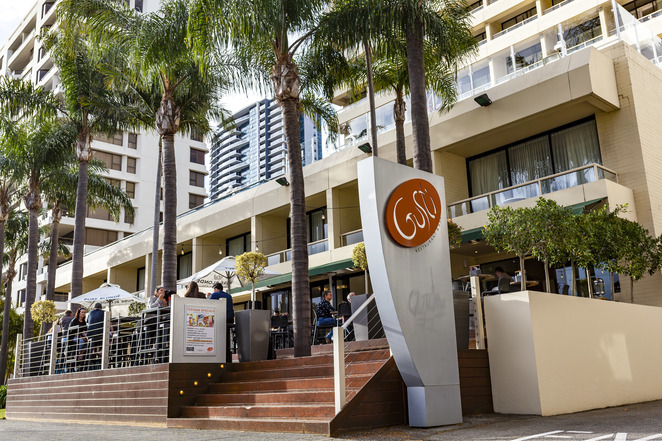 The Gusti Restaurant and Bar is a popular dining spot located in East Perth. 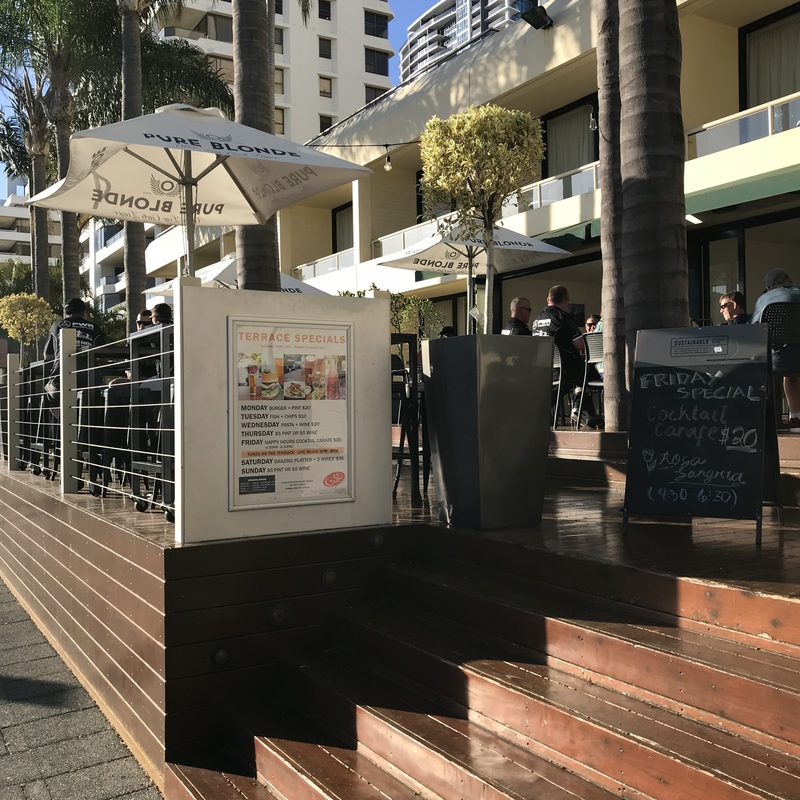 It is attached to the front of the Crowne Plaza Perth hotel and is situated across from the Swan River and Langley Park. It has indoor and outdoor seating, is vegetarian and kid friendly, has gluten free options and a buffet, serves breakfast, lunch and dinner seven days a week and it has a terrace, a restaurant and a full bar. I visited the Gusti Terrace on a Friday night after work. The terrace is open from 12.00pm noon to 9.30pm 365 days a year. The Gusti Terrace has its own bistro menu that you can view by clicking HERE. The terrace has wooden panelling, views of the river and the park, a pop up bar, and tables and chairs shaded by umbrellas and palm trees. The Gusti Terrace is a popular spot for cocktail parties, weddings, corporate events and after work drinks. 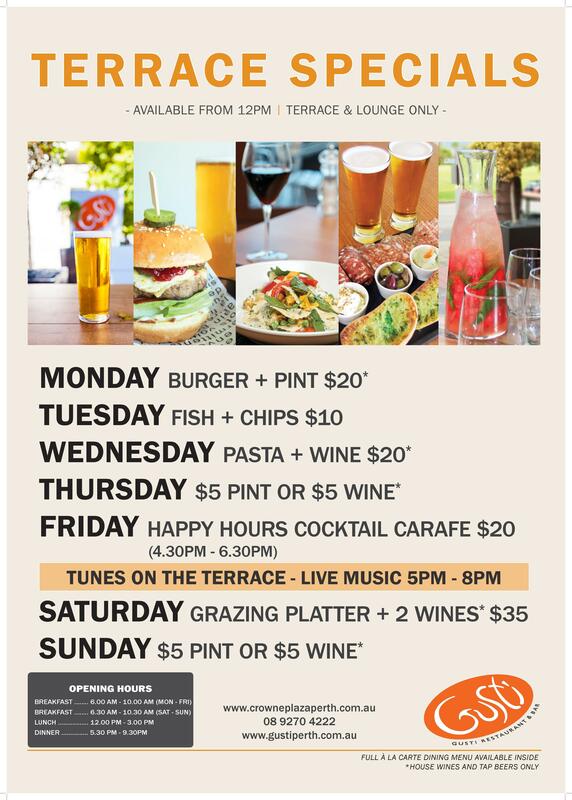 They offer food and drink specials throughout the week like a burger and a pint for $20 on Mondays and fish and chips for $10 on Tuesdays. On Friday nights they offer a drink special between 4.30pm and 6.30pm for $20 called the Happy Hour Cocktail Carafe. 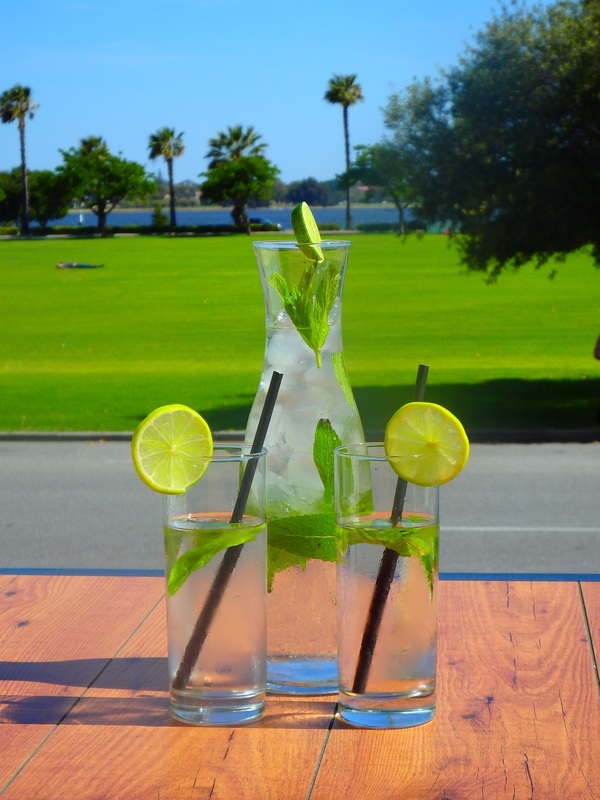 The Cocktail Carafe is a 1 litre serving of an alcoholic beverage that you can share with a friend. Another thing they do on Friday nights is they have a local solo act perform every week from 5pm to 8pm. They call this performance Tunes on the Terrace. 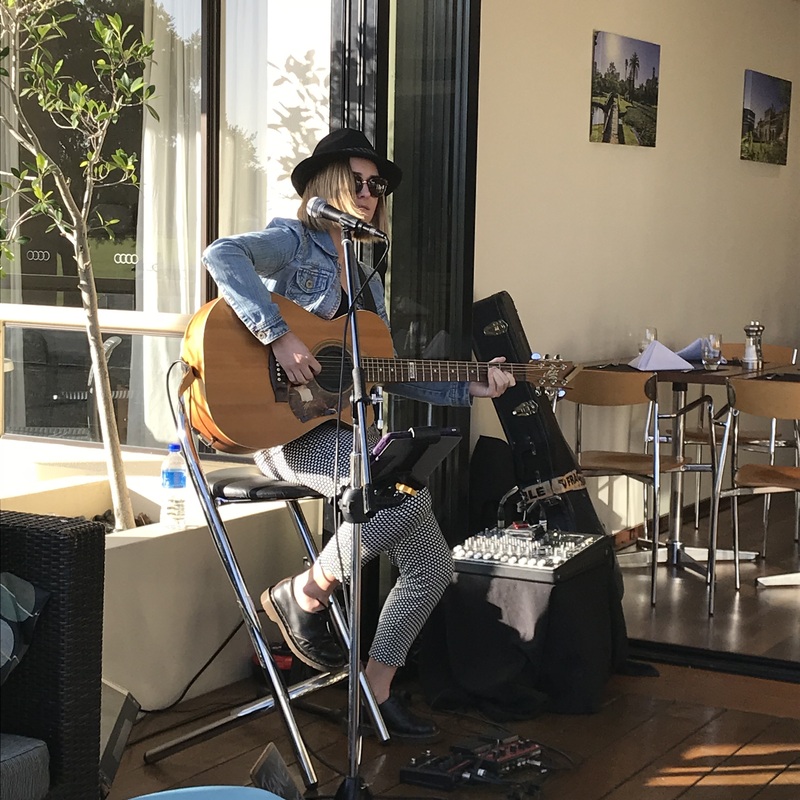 When we turned up to the Gusti Restaurant the Terrace was buzzing with people eating and drinking and enjoying the late afternoon sunshine and there was a girl sitting in a corner singing and playing the guitar. My daughter took a shining to the guitarist and immediately started dancing right along to her tunes. The staff were quick to greet us and to show us to a table. The kids menu is for children 12 years and younger and is $18 per person. My first thought was that it was a little bit expensive but then I saw that it had an impressive range of choices and included a main and a dessert and a drink. 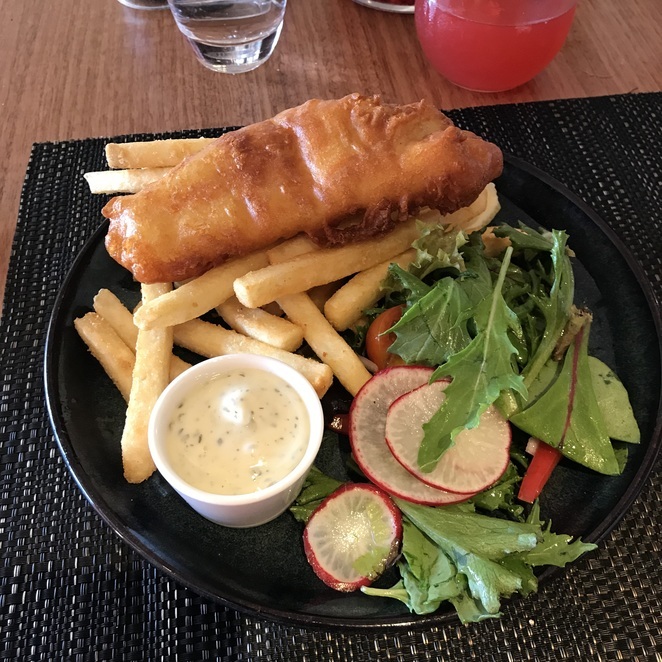 My daughter chose the fish and chips with tartare sauce and a garden salad for her main with a glass of milk and a slice of chocolate cake for her dessert. We ordered the Happy Hour Cocktail Carafe ($20) which was a Rosa Sangria. 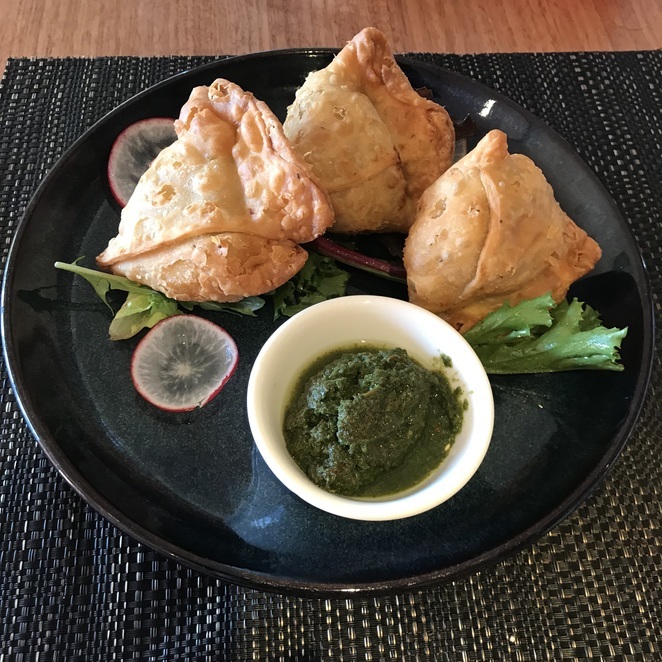 For our main we got the house made vegetable samosa with mint chutney sharing plate ($12) and a stone baked chicken pizza with fetta and chilli and olives ($22). Our drinks arrived 15 minutes after we ordered them. 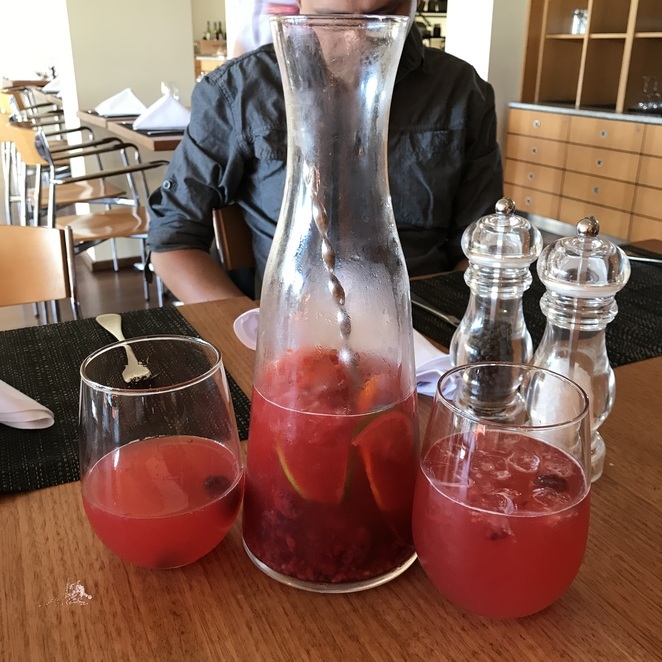 The Rosa Sangria came in a glass jug with two glasses. It had crushed ice and raspberries and slices of orange and lime at the bottom of the jug. It was sweet and refreshing and not too overpowering. I liked it so much I knocked back two glassfuls of it. The kid's fish and chips came out next. I thought it was a decent sized serve and I liked the look of the salad. My four-year-old was quite excited to receive it. My husband and I helped ourselves to a couple of chips off her plate. They were crunchy and warm and the tartare sauce was delicious. Our mains were whisked out of the kitchen and put down in front of us about twenty minutes after we ordered. We started with the samosas. They were nicely browned and had a nice crunch to them and were just the tiniest bit spicy. The mint chutney was a nice complement to them. The chicken pizza was drenched in melted cheese and had a nice crunch to it. I thought it had a really nice blend of flavours. 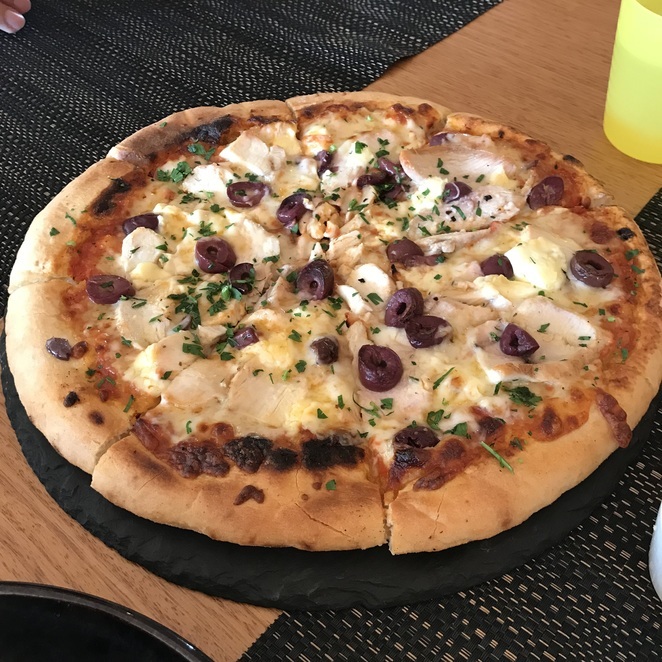 You could really taste the chilli and the olives mixed into the cheese and chicken. We ended our night with a slice of chocolate cake shared between the three of us. I enjoyed our experience at the Gusti Restaurant and Bar. The atmosphere was pleasant, the service was good, the people seemed happy, the food was of a high standard and I thought the Cocktail Carafe was a good bargain. Why? The Gusti Restaurant and Bar’s Gusti Terrace features a pop up bar, food and drink specials, amazing views and a different local solo act performing every week. 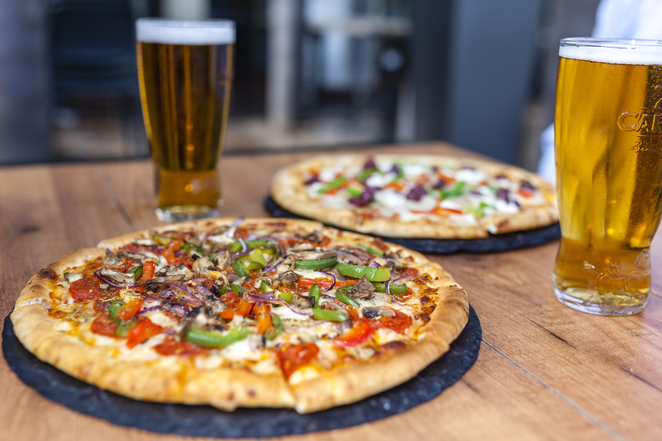 It’s the perfect place to go for after work drinks. When: Breakfast is held 6am to 10am Monday to Friday and from 6.30am to 10.30am Saturday and Sunday. Lunch/Lounge is open 11am to 3pm Monday to Sunday. Dinner is held every day from 5.30pm to 9.30pm and the Terrace is open every day from noon to 9.30pm. 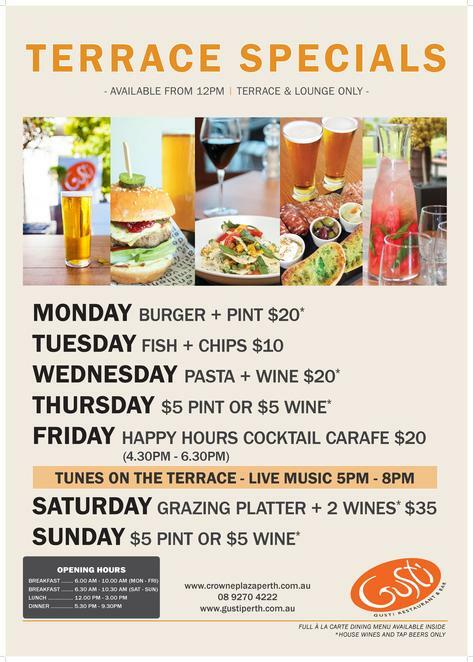 Cost: Terrace Specials are available from 12pm and cost between $5 and $35. Mains cost between $10 and $45. Kids Menu is $18 per person and includes main and dessert.